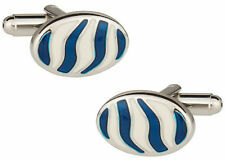 These are proudly made in the U.S.A. and are detailed bull and bear cufflinks. Bull & Bear Cufflinks. A Perfect Accessory for your French Cuff Shirt. Arrives in hard-sided, presentation box suitable for gifting.